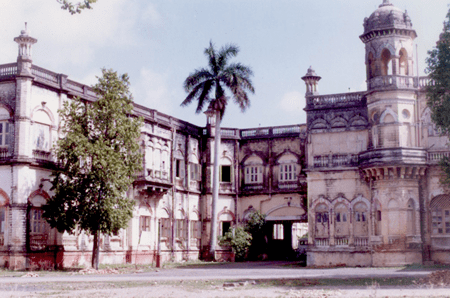 The College of Agriculture, Junagadh started functioning in the month of June, 1960. The college was affiliated to Gujarat University, Ahmedabad from its inception till the year 1967. Subsequently, on inception of Saurashtra University in 1968 at Rajkot, the affiliation was transferred to it. The university represents ten districts viz., Amreli, Bhavnagar, Jamnagar, Junagadh, Porbandar, Rajkot, Surendranagar, Devbhoomi Dwarka, Gir Somnath and Morbi historically known as Saurashtra, covering about 32.82 per cent area of the Gujarat State. The region is endowed with 788 kms of sea coast stretching all along from gulf in the north west through the Arabian sea in the South up to the Gulf of Cambay in the east. The university is functioning in a typical Arid and Semi Arid type of climate in the state. Hence, drought, erratic rainfall, low fertility and salinity ingress are the major constraints limiting productivity and prosperity of the agriculture of this region. The major crops grown in the region are oilseeds (groundnut, sesame, castor), cotton, bajra, wheat and spices followed by mango and sapota among fruits. Saurashtra is the home of famous breed of cattle, cow (Gir), buffalo (Jafrabadi), goat (Zalawadi) and horse (Kathi). Junagadh Agricultural University offers education in agriculture and allied sciences i.e., Agriculture, Horticulture, Agricultural Engineering, Fisheries Science, Veterinary Science & Animal Husbandary and Agri Business Management. The post graduate level studies are also offered in agriculture and allied sciences according to the intake capacity of the various faculties. The College of Agriculture was established in 1960 and the College of Agricultural Engineering & Technology at Junagadh was established in 1984 at the Junagadh. Whereas the College of Fisheries Science was started in 1991 at Veraval. The Polytechnic programmes in Horticulture, Agro Processing and Animal Husbandary at Junagadh; Agriculture at Dhari, Halvad and Sidsar; Home Science at Amreli, Agril. Engineering at Targhadia are run by this university. In addition to these Certificate courses on Bakery and Mali trainings at Junagadh are also run by this university. Agro based ITI centres each at Junagadh and Mahuva are also run by this university. Other amenities like Central Library, 24-hour Internet Connectivity, Sports Complex, Auditorium, Gymnasium, Health Centre etc. are also available at this campus to provide congenial environment to the students for the overall development of their personality. There are seven multidisciplinary Main Research Stations, five Main Research Stations for various crops and eleven sub Research Stations/Testing Centres in the university for the development of new varieties/hybrids of crops, vegetables and fruits. These centres also works for the development of economical and sustainable production technology packages for newly developed varieties/hybrids with its modification every year. The first hybrid bajra and hybrid castor were developed by scientists of this university. The extension component includes seven Krushi Vigyan Kendras (Jamnagar, Amreli, Targhadia, Khapat, Nana Kandhasar, Pipalia and Morbi), one Sardar Smruti Kendra (Junagadh), Centre of Excellence of Training in Groundnut, Centre of Excellence on Soil-Water Management and a T & V scheme. For transfer of agriculture and allied technologies, Khedut Shibir, Group Discussion, Farmers Service, Agro-meteorological Advisory Services, Crop Demonstrations, Educational Tours, Seminars, Cattle Camps, Film Shows are also arranged under extension education programmes. More than 648 front line demonstrations were conducted in groundnut, castor, sesamum and pearl millet crops to disseminate the new technologies among the farmers.